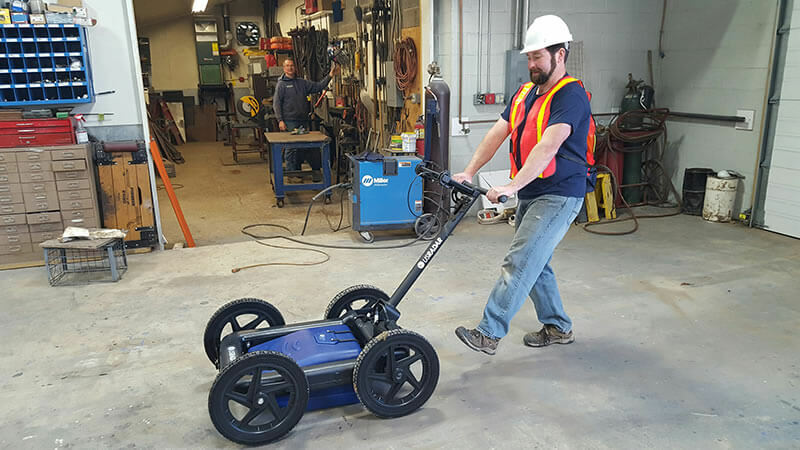 Our newest equipment pulses radar energy into the ground for the purpose of "seeing" what's under the surface without having to dig and explore. It's accurate and fast, bringing the results in for examination after the fieldwork. We’ll give some actual experiences on this page, once we have an opportunity to put it into practice. 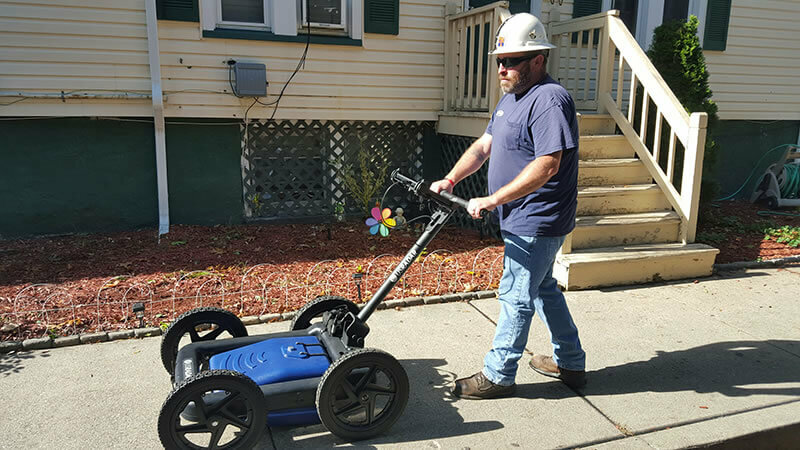 It's going to be a BIG hit because of its speed, accuracy and money-saving operation! 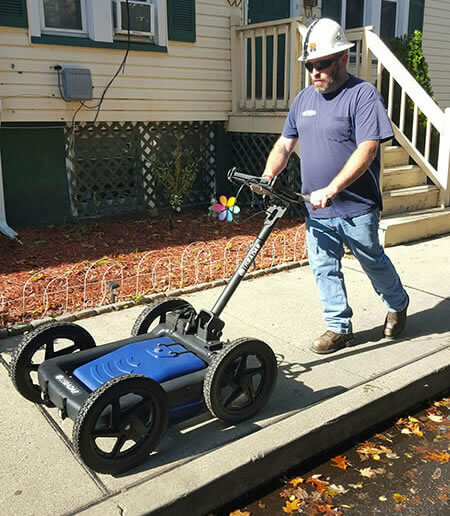 Ground Penetrating Radar (GPR) works by sending radar waves into the ground, up to 60' or more, depending on soil conditions. When the waves encounter an object in the ground, the reflected signals are bounced back to the surface, and collected as data in the hard drive for analysis. The object's depth is also recorded. 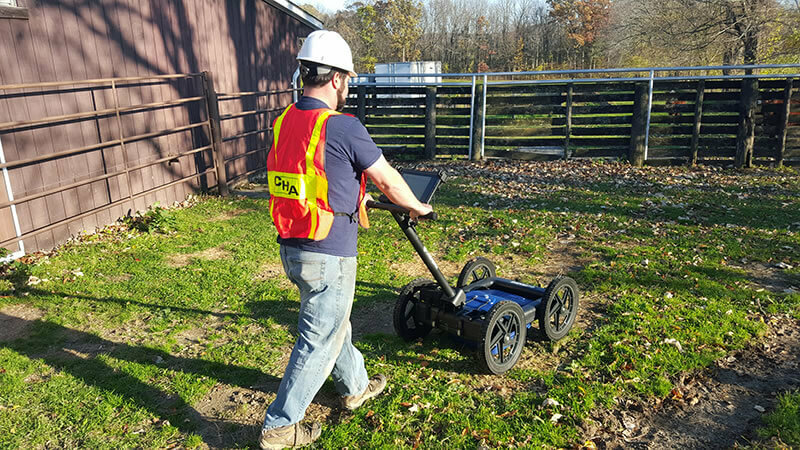 Using the latest GPR technology, our technicians can give you a more detailed cross section of objects buried in the ground, better than a conventional "tank sweep" with just a metal detector, because GPR technology will also locate non-metallic objects as well.